LG had a bad year in 2011 with virtually zero sales of the Optimus 3D, lots of technical faults with the Optimus 2X and software updates that seemed to take forever to appear. As a result, LG's sales have slipped and the company's mobile phone division finds itself deeply in the red. On the face of it, the LG Optimus 4X HD should reverse this slide in fortunes. It has a "4-PLUS-1" processor arrangement, featuring a 1.5GHz quad-core CPU with an additional low-power core to handle less demanding tasks. That's all we can tell you for certain, because LG have made no other details available apart from some poorly photoshopped pictures of the device itself. We don't know when it will be available, how much it will cost, exactly how big it is or a whole set of other technical details. If it wasn't for the fact that we know that prototypes are on show, we would suspect that this handset didn't exist at all. LG haven't responded to queries for more information either. 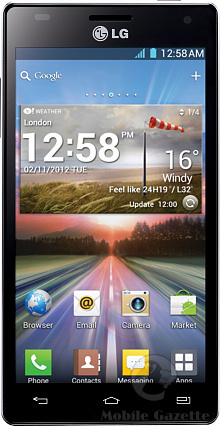 This might turn out to be a very good device, but recently LG have left a trail of dissatisfied consumers behind them. 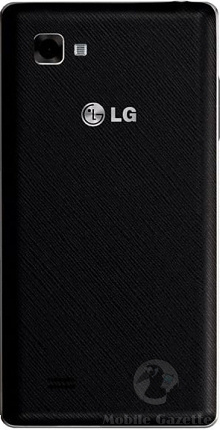 Given the potentially high price of the LG Optimus 4X HD, we would suggest that you don't rush out to buy one when (or if) they first come out, and instead wait to see if LG have raised their game at all during 2012.